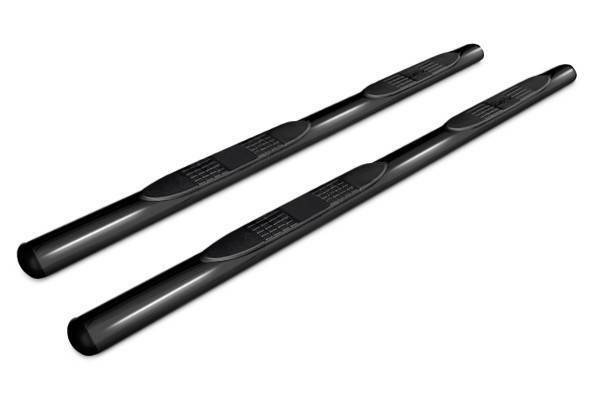 4" Polished Stainless Steel Oval Side Steps by Black Horse Off Road(R), 1 Pair. Limited Lifetime Warranty. These fantastic accessories offer a much easier getting in and out of your vehicle as well as hassle-free access to the roof. Constructed of sturdy 4'' oval steel tubing, the side steps are designed to never crack or rust. The parts are easy to install, with no drilling or welding required.